Will Your Will Fulfill Your Wishes? - Keystone Elder Law P.C. 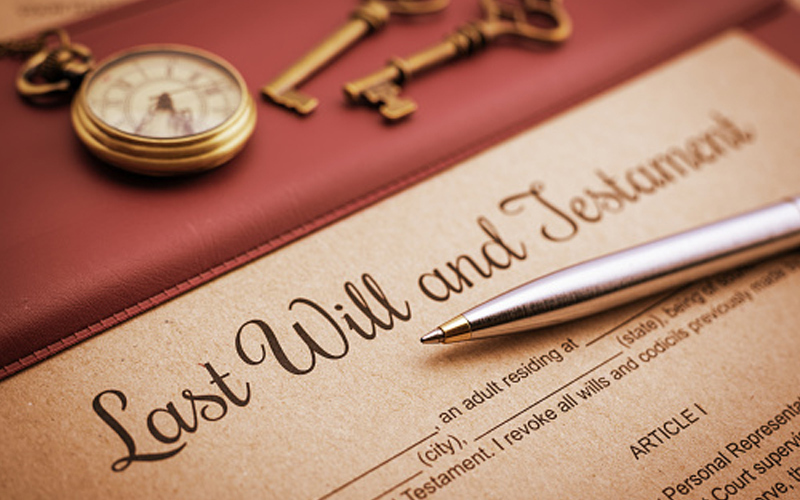 A Last Will and Testament is one of the most common documents that people think of when considering the type of legal documents they should possess. This document controls assets that are in your name alone (also known as probate assets) when you pass away. This document enables you to have your wishes followed even after you pass away because you can choose the person to handle your affairs (“Executor” or “Personal Representative”) and to whom you want to give your property. There are some important facts that everyone should understand about probate, inheritances in Pennsylvania, and passing away without a will (intestate). The term “probate” refers to the process by which a will is proved valid or invalid under the laws of the particular state in which you are filing the will. Once the Register of Wills declares that the will is valid, Letters of Testamentary and a short certificate will be issued by that office. These letters authorize the Executor or Personal Representative to act on behalf of the Estate. The short certificate is certified proof of the appointment of the Personal Representative, and it enables the Personal Representative to access the decedent’s assets and to begin administering the estate. Because of the many laws and details involved, often people elect to have an attorney assist with probate and administration of the estate. Each county sets its own schedule of fees for the cost of probate. Generally, the probate fee is based on the size of the estate. For example, in Cumberland County, for an estate valued at $100,000, the base fee for letters would be $210, plus various additional surcharges and fees that may apply. Depending on the relationship of the survivor to the decedent, state inheritance taxes may apply. Current inheritance tax rates in PA are 0 percent for your spouse, transfers from the estate of children age 21 or less, and charities; 4.5 percent for lineal descendants, such as grandparents, parents, children (includes adopted children and step-children), and an un-remarried spouse of a child; 12 percent for siblings (not including step-siblings), and 15 percent for all other beneficiaries. The payment of inheritance taxes can be made by the residue of the estate if the decedent’s will is structured in this manner, rather than being paid by the individual beneficiaries. Inheritance taxes are due upon an individual’s death and are considered delinquent by the state if not paid within nine months. If inheritance taxes are paid within three months of the individual’s death, then a 5% discount will be allowed on the actual tax paid within the three-month period. Beginning June 30, 2012, certain farm land and other agricultural property transferred to lineal descendants or siblings is exempt from inheritance taxes. For additional information about this exemption, please visit the PA Department of Revenue website. The inheritance tax applies to any property inherited by someone, not just inheritance through someone’s will. For example, if someone owns his/her house jointly with right of survivorship with his/her child, that house will not be controlled by the will because it was not in his/her name along, but the child still has to pay inheritance tax on half of the value of the house (assuming the child was a joint owner for at least one year prior to the parent’s death). Every state sets its own policies regarding rates and exemptions. If you die without a will, your state of residence will decide how your assets are distributed and who is responsible for representing your estate (Estate Administrator). This process is called intestate succession. Pennsylvania does not distribute assets the way you think it might. For example, all of the assets of a decedent will not pass to a surviving spouse if there are surviving children of both the decedent and the spouse. The surviving spouse will receive the first $30,000 plus one-half of the balance of the intestate estate. If there have been multiple marriages with additional children, the amount received by the current spouse will be even less than stated above. In order to ensure that your wishes will be followed, you need to execute a Last Will and Testament. This document will allow you to not only designate your beneficiaries and Personal Representative, but also to name a Guardian for any minors or dependent persons. Your will can also be used to create a trust for any underage or disabled beneficiaries. A will should be periodically updated, due to changes in an individual’s financial and social life, as well as changes in state laws. If you are considering whether you need to update your will, ask yourself if any of the following four D’s have recently affected you since you last executed your will: Divorce, Death, Disease, and Decade. A will that contains the necessary language to fulfill your goals can help maintain harmonious family relationships during a highly emotional time of loss as well as ensure that your wishes are followed after you are gone.